"For a while, there was a culture in the business environment of ‘the imperial CEO.’ Boards were incapable of reining in CEOs and their egos. That has changed," said Tabcorp and Healthscope Chairman, Paula Dwyer, at the Melbourne Centre for Corporate Governance and Regulation event. 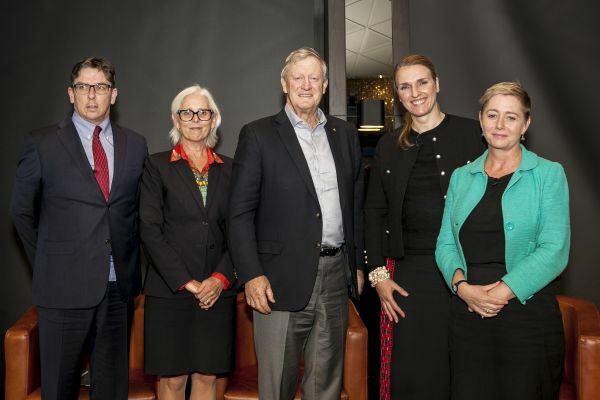 The Melbourne Centre for Corporate Governance and Regulation (MCCGR) hosted its inaugural industry forum on 15 November 2018 with support from the Australian Institute of Company Directors. The event featured a panel discussion moderated by Professor Ian Gow that explored the impact of CEOs on the businesses they run and the processes behind their development, recruitment and remuneration. Professor Gow and the panellists. 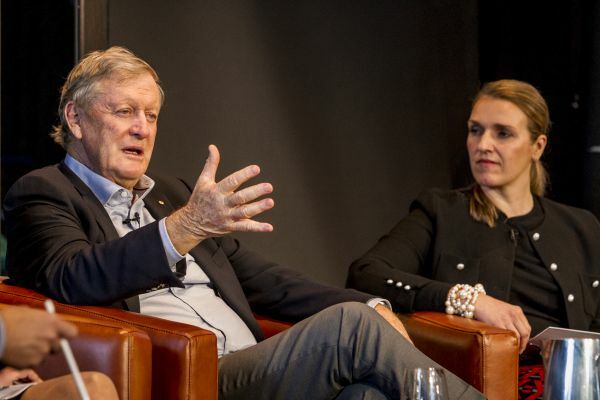 The high-profile panellists included Immediate Past Chairman of Qantas, Leigh Clifford AO, Tabcorp and Healthscope Chairman, Paula Dwyer, Australian Council of Superannuation Investors CEO, Louise Davidson, and Managing Partner at Egon Zehnder, Glenice Maclellan. Corporate governance has become a topic of increasing importance in Australia as businesses face heightened scrutiny and regulation in the wake of the Financial Services Royal Commission. Professor Gow invited the panellists to reflect on the role of the board in ensuring corporate accountability and the significance of the CEO role. “Most boards recognise that the selection and monitoring of the CEO is their most important job,” said Davidson. The panellists acknowledged that the perception of CEOs is shifting in Australia and around the world. “Previously we’ve seen ‘rockstar’ CEOs who have been media or investor favourites who have been disappointing in terms of adding value,” Dwyer said. Dwyer went on to describe remuneration as the “issue du jour,” as has been highlighted in MCCGR’s Insight Series exploring CEO compensation in Australia. The panellists agreed that the board should use their discretion more strictly when it comes to rewarding executives with bonuses. “I think boards are too reluctant to give zero. Recent events from the Royal Commission highlight that oftentimes CEOs ought not be given bonuses,” Clifford said. The conversation then shifted to the significance of organisational culture. “Cultural fit is incredibly important and it’s true that the focus on culture has increased in recent times. However, from my experience, great boards have been looking at the impact CEOs have on business culture for a long time,” Maclellan said. Leigh Clifford AO and Glenice Maclellan. Drawing on their individual experiences working in the corporate world, the panellists discussed how leaders shape the culture of the companies they run. “There is this common idea that the board sets the culture. I disagree with that,” Clifford said. Maclellan proposed that there has been a “distinct shift” in how boards approach CEO succession and leadership change. “They are more prepared. They plan for succession at a very early stage and constantly assess potential changes that may alter their strategy,” said Maclellan. She also said there is now more emphasis on preparing internal candidates for the CEO role more rigorously and further in advance than might have been the case previously. Davidson then went on to add that boards need to think about how talent is being identified in the organisation. “Often women don’t put themselves forward as readily as men do. There needs to be some way of making sure talent is not lost as a result of that,” she said. Clifford suggested it was important to give women a chance at middle management so as to build a population of females with experience and talent climbing the leadership ranks.